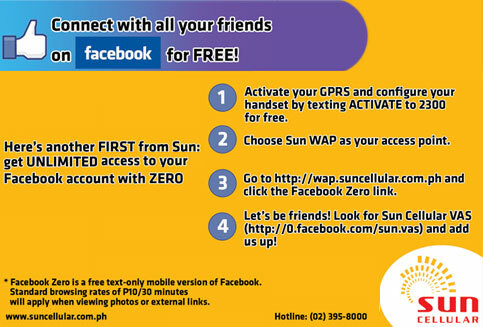 Re-iterate the previous post Free facebook access from Sun , Guys you should use this promo while it last. Actually I'm not seeing this to be moving away soon but for Sun guys out there, maximize your subscription. Make use of this facebook 0. It's the same look and feel with m.facebook.com but if you click any thumbnails or images, you will be prompted that your are leaving 0.facebook.com and any transaction there on will incur internet charges.